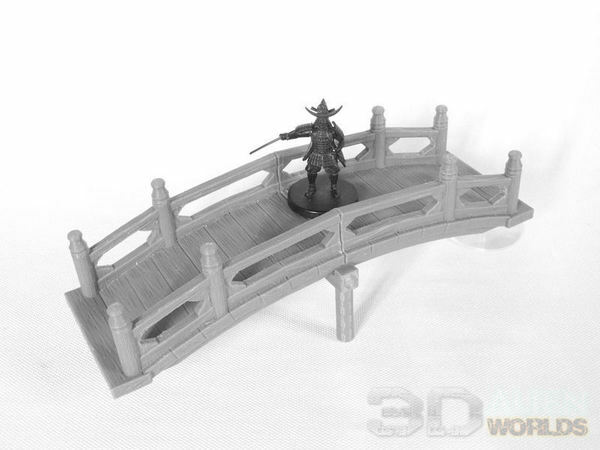 All 5 of the new Samurai Bridges Set have now been printed out, and they are looking gooooood! ▲ Close-up on the smaller-sized wooden bridge. Supports are included in the set, but are optional. Check out that woodgrain! This was printed at 0.1mm layers, but it's a fairly quick print. 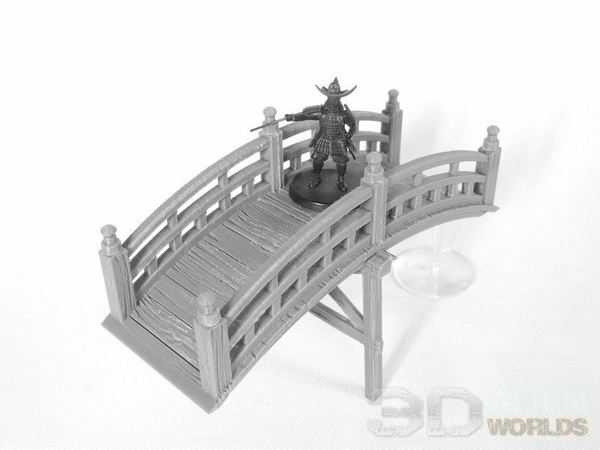 ▲ The big daddy of the set - the big wooden bridge. 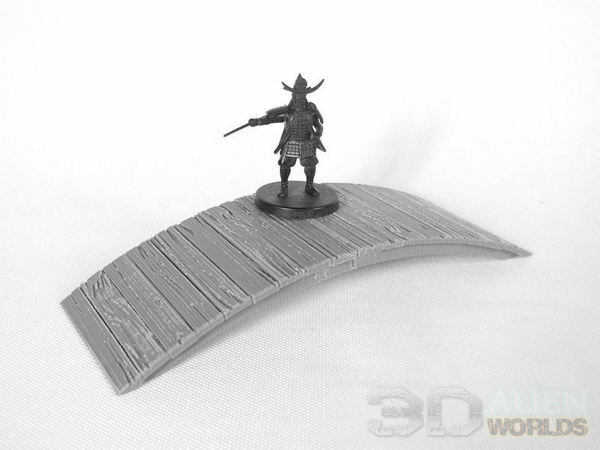 As on the smaller wooden bridge, the woodgrain patterns have been sculpted deeper towards the edges on each side, because the wood in the middle would be more smoothed down by feet. ▲ Stone bridge, printed in two halves at 0.1mm layers. This is going to look great painted up and weathered as old, mossy stone! 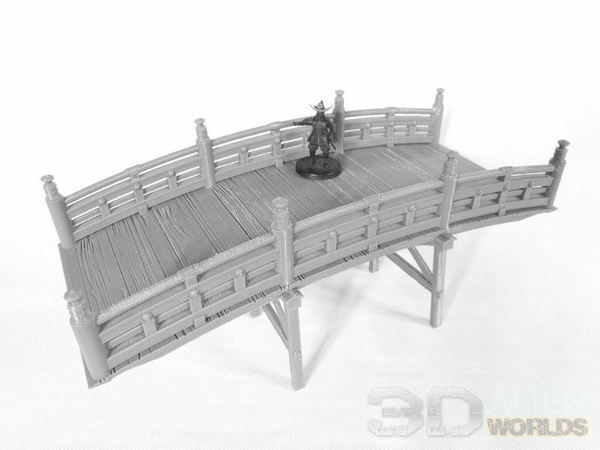 ▲ This is the same wooden bridge version as before, but without any of the side railings. You might it in towns or countryside. This was printed at 0.2mm layers, with no real difference in quality, because the woodgrain pattern is aligned with the printer lines (if you have them). 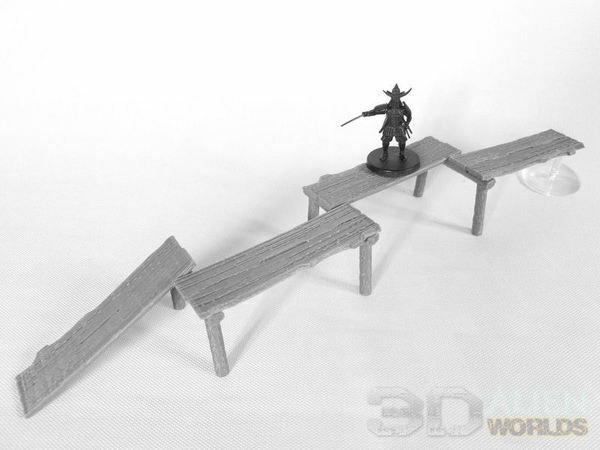 The basic wooden bridge will be available on Thingiverse shortly! ▲ This plank bridge might look a little odd now, but once the leg supports have been cut to the correct height for our river terrain, it'll look great! 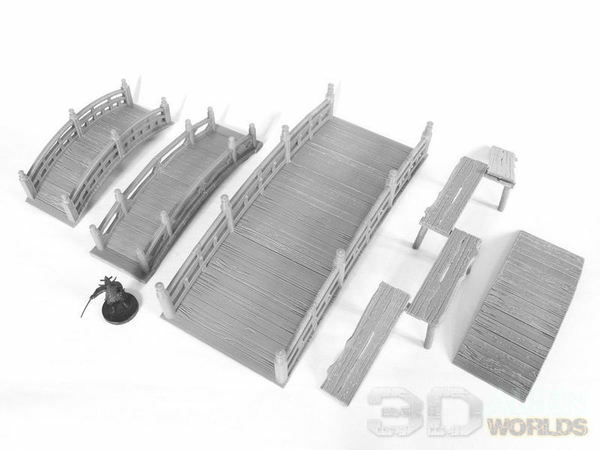 These 5 bridges will be hitting the paint desk this week, and will be released around Valentine's Day!